5-year old Hopakuli is lazy, cheeky and forever disobeying his elders. He is one of the young, orphaned monks living in the isolated Tibetan monastery of Lumbini, Nepal, the birthplace of the Buddha. As Hopakuli and his brother Chorten learn to endure the rigours of monastic life with their fellow orphans, they find escape in the power of their imaginations, the rough and tumble of their boyhood a constant challenge to the regimented religious environment they call home. Beautifully crafted, this stylish documentary is an intimate immersion into the universal truths of youth. Nestled in the heart of the birthplace of the Buddha lies an isolated monastery. Novice monks, some as young as five, live and grow up here immersed in the ways of Buddhism. Despite their austere surroundings, they are still obviously children – there is no shortage of silly jokes, foul language and boisterous playfighting. The arrival of a rogue langur, apparently intent on causing as much chaos as possible, brings a rare episode of excitement and peril for the novices. “Everybody take cover!” one boy shouts. “Monkey alert, monkey alert! Go to hell! He's coming this way, run, run!” The peaceful ambience is broken for a while as the reprobate primate is ushered from the premises. 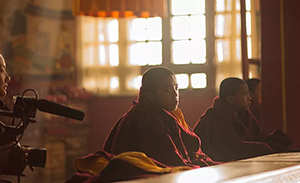 This reflective documentary charts the day-to-day life of the novices within the monastery, gently shedding light on the juxtaposition of religious doctrine against the natural unruliness of the boys, and muses upon where their futures might lie. For a Q&A with director Yuqi Kang, see here. Yuqi was born in Inner Mongolia, China. Growing up as an ethnic minority in China, art became the medium through which Yuqi began to confront and articulate her lived experience. Upon graduating from NY School of Arts, she was awarded the Paula Rhodes Award for Exceptional Achievement in Social Documentary Film. Through her work she explores the questions of representation, human experience and cultural translation. 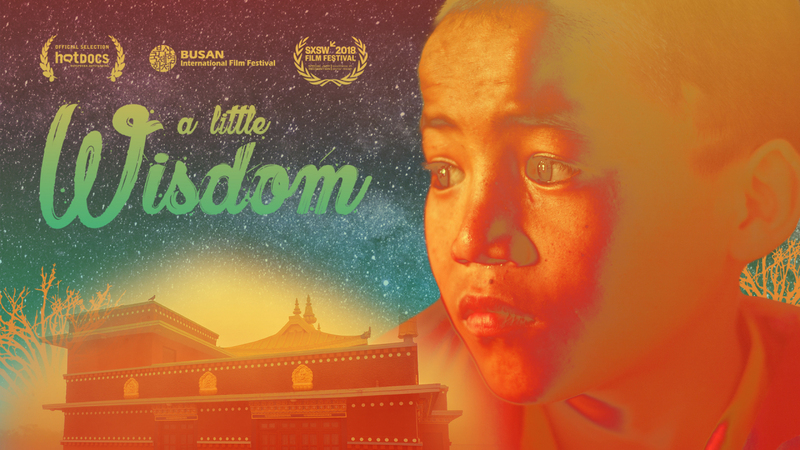 A Little Wisdom is Yuqi's feature directorial debut. Maro is a partner in the Emmy and Peabody award-winning company Show of Force, and Founder of the MFA program in social documentary at the School of Visual Arts. Her many films and series (Marina Abramovic, The Artist is Present) have received numerous awards and have toured the world in festivals, including Sundance, SXSW, and Berlin. Her feature docs have broadcast widely - from PBS and HBO to Arte and the BBC - garnering significant critical acclaim. Alan Berliner's uncanny ability to combine experimental cinema, artistic purpose, and popular appeal in compelling film essays has made him one of America's most acclaimed independent filmmakers. Berliner's experimental documentary films, First Cousin Once Removed (2013), Wide Awake (2006), The Sweetest Sound (2001) and others have been broadcast all over the world, receiving awards, prizes and retrospectives at many major international film festivals. For as long as I can remember, I have been using drawing as a medium to explore the world surrounding me. I believe my background in drawing gave rise to my filmmaking practice as the combination of visual and sound parallels the use of a paintbrush on canvas. Both mediums involve not only a great deal of observation but also improvisation. As a practicing Buddhist, I attempt to embody the Buddha's teachings, and I apply it to my own process whether in filmmaking or drawing. The artistic intention of A Little Wisdom is recreating the emotional connection I had with the subject for the audience. Therefore, we try to avoid forced sentimentality by not using music or set up interviews to push the narrative forward. Instead, I utilize visuals, sounds, and hidden symbols to convey the mood, the sense of reality and the emotional connections.